Whether you and the children want to try rock pooling, beach cleans, snorkelling or dolphin watching this summer, you’ll find plenty of fabulous family-friendly events all around Cornwall. Please check the full details on the organiser’s website, including booking requirements, any charges and age restrictions before attending. Remember to book well in advance if required. If you know of any other summer beach events in Cornwall this summer, let me know and I’ll add them to the list. The sun breaks through the cloud as the first children arrive. It’s a perfect day for a Wildlife Watch expedition and although I don’t know the beach at Coverack well, a quick paddle in the rippling shallows has already yielded sand eels, an attractive pink thin tellin shell and plenty of shore crabs so it’s shaping up well. Lesser sand eel – being dark on top and light underneath makes it harder for predators to spot them in the water. I always look forward to meeting my Wildlife Watch groups and this one doesn’t disappoint. My assistant, Vicky, does a fabulous job of welcoming everyone and helping set up and the children are enthusiastic and curious, raring to get stuck in. It’s especially good to see how well the kids care for the animals, making sure they have enough water in their tubs, replacing any stones and seaweed they move and not detaching animals that might get damaged like anemones and limpets. One lad is particularly adventurous and knowledgeable, so we have fun investigating a gully between two huge rocks. We find the inner face of one rock is covered in a massive sheet of breadcrumb sponge and there are especially large strawberry anemones in the pool beneath. My new friend stays there trying to catch an elusive fish while I help others identify creatures. Soon, the finds are coming in to our makeshift shore laboratory. Glittering sand eels, a feisty velvet swimming crab with devilish red eyes, a whole troop of hermit crabs and colourful brittle stars which we watch walking on their long arms. A lovely baby hermit crab with green eyes (Pagurus bernhardus) has a go at pinching my fingers. My new friend comes over with a shore crab. He’s learned that they keep their eggs under their tails and is excited to find one he thinks is in berry. He seems disappointed when I reveal that, although she has something under there, it’s not eggs. But this is something far more exciting. It’s a parasitic barnacle, Sacculina carcini, which I’ve been searching for and never seen. The yellow mass under the crab’s tail is the barnacle’s fruiting body, the barnacle’s eggs – not the crab’s. Unfortunately for the crab, once it is infected it can no longer moult and grow or lay eggs. The barnacle will take a lot of energy from the crab as it spreads through its body. It can even trick male crabs into behaving like females to ensure that they will successfully release the barnacle’s young when the eggs are ready to hatch. It’s amazing to see, even if it’s not good news for the crab. The yellow lump under the tail contains the eggs of the parasitic barnacle which has infested the crab. As always, I get more than a little distracted doing my own rock pooling. I can’t help myself. I briefly feel guilty that I’m not available enough to the children while I’m crawling about among the slippery boulders, but then I spot a miniscule thing moving on the rock and it has my entire attention. The thing looks like a tiny lobster. I scramble to grab a suitable pot and when I look back at the rock I can’t see it any more. I stare at the area where I saw it but it’s just not there. I look all around the surface of the rock in vain, gently tip a little sea water down it to see if anything moves but I’m scared I might wash it off accidentally. When I finally relocate my mini crustacean, it is nearly at the edge. With a lot of care and determination, I succeed in catching it in my pot. It’s only about 5mm long, but seems to be a tiny squat lobster, the smallest I’ve ever seen. Back at the trays, we all gather round to take a close look at all the animals and learn about their lives and strange habits. We have a fabulous diversity of creatures to watch before they’re returned to the shore. I slip my baby squat lobster into a petri dish to take some photos. It looks a bit strange, as though something has got caught on its back legs. When I look a couple of minutes later, the thing that’s stuck to it has grown. It’s hard to see as the whole animal is only a few millimetres long, but when the ‘thing’ comes away I’m in no doubt. The squat lobster is growing and has just shed its old skin. Moult of the squat lobster – the animal has moved out of its old shell so that it can grow. The old carapace is an exact replica of the animal, only colourless and transparent. As the new, soft shell of the squat lobster begins to harden it seems to grow before our eyes. The freshly moulted squat lobster (Galathea sp.) showing off some very hairy claws. Coverack, Cornwall. It’s something I’ve never seen before. It’s what’s so special about events like this. Even though I’m here to help others learn and see new things, I’ve seen something new myself. If you’d like to come to a Wildlife Watch event with the Cornwall Wildlife Trust this summer, you’ll need to book quickly as they are filling up. Find the whole list on the Cornwall Wildlife Trust’s website. Maybe I’ll see you there? Necklace shell at Coverack, found by my Wildlife Watch group. The summer holidays are a great time to explore the Cornish rock pools. 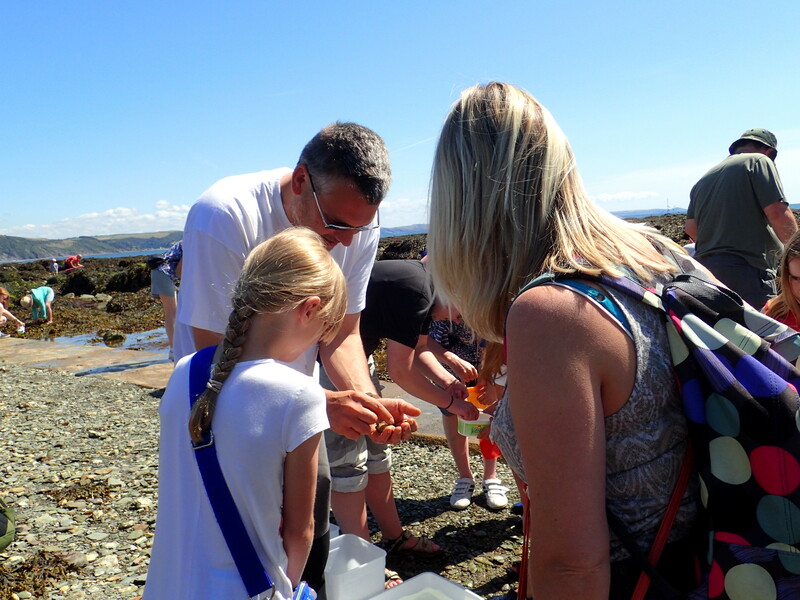 What better way to discover the crabs, fish, starfish, anemones and a host of other animals found around our shores than to join a guided event? You’ll have the experts on hand to tell you all about the animals and how they live and as part of a group, you’ll get to see everyone’s finds. Here’s a summary of rockpooling and marine events this summer, which are all listed on the Cornwall Wildlife Trust events pages. If you can’t make it to a group event, my pages on how to rockpool will help you make the most of your trip. Just click on beaches tab above to find a great rockpooling location near you. Please check the organiser’s site for full details, any booking requirements and changes before attending. In all cases, children must be accompanied by an adult and wear suitable weather protection and footwear. 24 July – Family Rock Pool Explore at Kingsand. 11.00. Booking essential for this fun rockpooling event for 5-11 year olds with Cornwall Wildlife Trust. Cost: £1 donation to Fox Club. 26 July – Seaweeds and Seaweed Pressing with Angie Gall at Trebah Garden, Helford. 10.00 – 12.30. Booking essential. Suitable for all ages, this workshop is a great chance to meet an expert and learn about seaweeds. Organised by Helford Voluntary Marine Conservation Association. 28 July – Helford Snorkel Safari. Details available on booking – booking essential. A chance for experienced snorkelers and confident swimmers age 8+ to enjoy a guided one-hour snorkel with local experts from Cornwall Wildlife Trust. £5. 29 July – Get Crafty at Polzeath. 10.30 – 12.30. Marine themed arts and crafts with the Polzeath Marine Conservation Group at the Marine Centre in Polzeath. £2 per person (free for members). 31 July – Rockpool Ramble at Cape Cornwall. 11.00 – 13.00 with the experts from Cornwall Wildlife Trust. 31 July – Carnival Rockpool Ramble at Hannafore Beach, West Looe. 11.30 – 13.00. Join the Looe Marine Conservation Group experts to explore the shore during Looe’s Carnival week. 31 July – Rockpool Ramble at Spit Beach, Par. 11.30 – 13.30. Join the experts from the Friends of the Fowey Estuary to explore the shore. £2.50 for non-members. 31 July – Rockpool Ramble at Polzeath. 11.30 – 13.30. Booking essential. Join the Polzeath Marine Conservation experts to explore the shore. £2 for non-members. 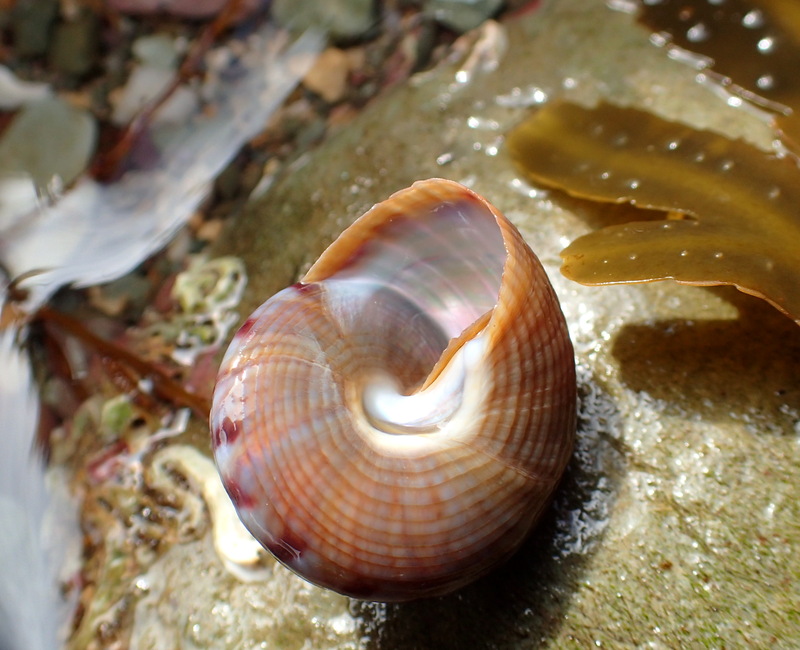 2 August – Rockpool Photography at Durgan on the Helford 14.00 – 16.00. Booking essential. Suitable for families. Find out how to get great shots using your basic camera including phone cameras. 3 August – Beach Treasure Trail near Newquay. 13.00 – 15.00. Booking essential. A fun trail using a treasure map for primary aged children – collect natural materials along the way. 3 August – Beach Treasure Trail near Crantock. 13.00 – 15.00. Booking essential. A fun trail using a treasure map for primary aged children – collect natural materials along the way. 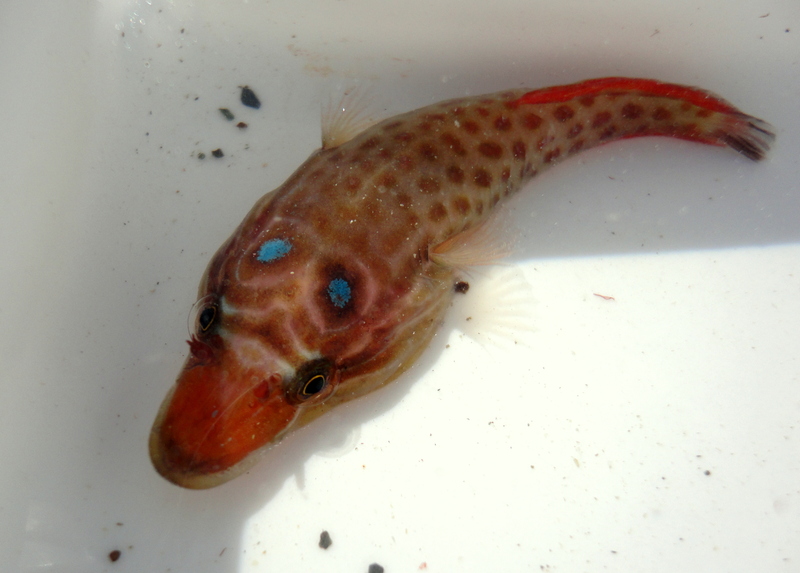 4 August – Rockpool Ramble at Swanpool, Falmouth. 14.30 – 16.30. Explore the shore with experts from the Cornwall Wildlife Trust. 5th August – Wild Wednesdays Seashore Shenanigans nr The Lizard – 14.00 – 16.00. Rockpooling for primary aged children with the Wild Lizard Ranger. Contact claire.scott@nationaltrust.org.uk for further details. 5 August – Beach Art fun with Frugi on The Lizard at Kennack Sands. 14.00 – 16.00. Beach art for all the family with the Cornwall Wildlife Trust Marine Team and with Prizes from Frugi children’s clothes. 12 August – Wild Wednesdays Seashore Shenanigans nr The Lizard. 10.00 -12.00. Rockpooling for primary aged children with the Wild Lizard Ranger. Contact claire.scott@nationaltrust.org.uk for further details. 14 August – Mad About Mud at West Looe. 11.00 – 14.00. Booking essential. Join experts from Looe Marine Conservation Group and the Friends of Kilminorth Wood to discover the marine life of the Looe estuary. Suitable for all ages. 16 August – Public Sea Watch near Tintagel. 11.00 – 14.00. Look out for seals, basking sharks, sunfish, dolphins and other marine life with the Cornwall Wildlife Trust experts. 17 August – Beach Games near Newquay. 12.00 – 14.00. Booking essential. Learn about sea creatures then become them as you complete fun games and activities. For primary age children. 17 August – Newquay evening boat safari. 18.00 – 20.00. Booking essential. Discover the coastal and marine wildlife of Newquay with local expert Dave Thomas – birds, seals and more. 18 August – Fowey Marine Day at Fowey Town Quay. 10.00 – 16.00. A day of fun activities including meeting huge crabs with Friends of Fowey Estuary and Cornwall Wildlife Trust. 19 August – Wild Wednesdays Seashore Shenanigans nr The Lizard – 14.00 – 16.00. Rockpooling for primary aged children with the Wild Lizard Ranger. Contact claire.scott@nationaltrust.org.uk for further details. 26 August – Wild Wednesdays Seashore Shenanigans nr The Lizard. 14.00 -16.00. Rockpooling for primary aged children with the Wild Lizard Ranger. Contact claire.scott@nationaltrust.org.uk for further details. 29 August – Rummage in a rockpool nr Penzance. 11.30 – 13.30. Booking essential. Join Cornwall Wildlife Trust experts to explore the shore. Suitable for primary aged children. Have fun! If you know of other events please contact me and I’ll add them – and don’t forget to let me know what wildlife you find this summer.